The ARMCC Compiler version 5.x can be configured to show error messages in the Japanese language. 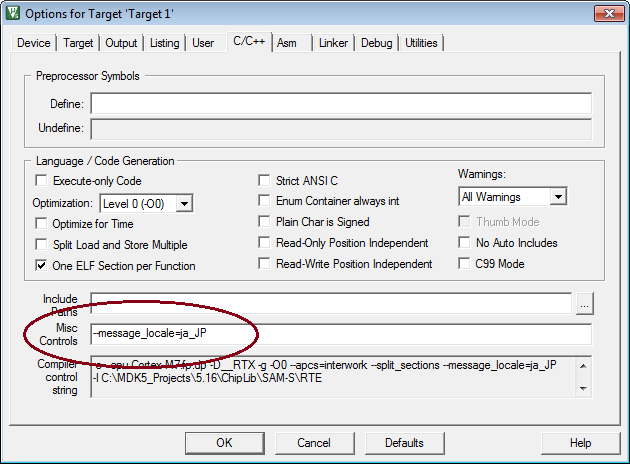 For this, you need a Japanese environment and you have to enter the compiler command --message_locale=ja_JP into the field Misc Controls of the dialog Options for Target - C/C++. Messages will be displayed in Japanese language in the Build Output window. With this setting, the double-click on the message will not jump to the error code.